Special notice should be taken of the pulpit. 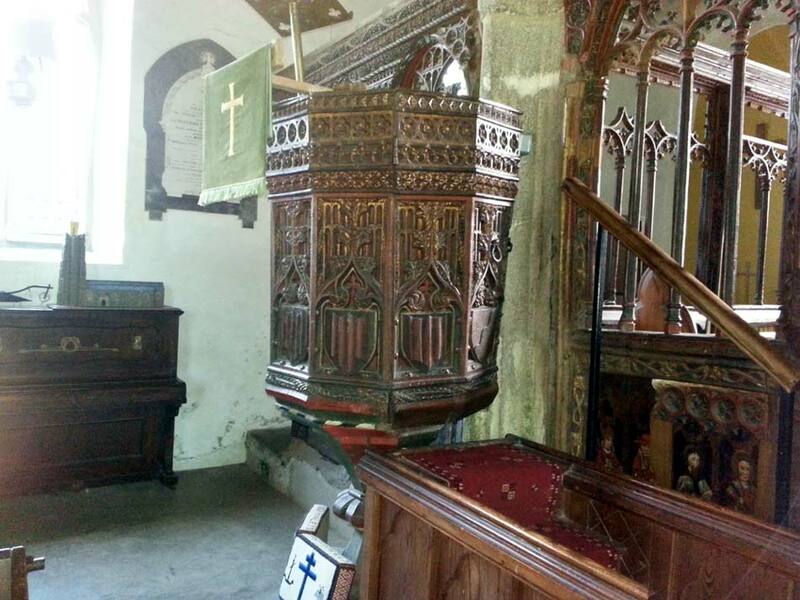 It is all in one piece, being hollowed out of the trunk of a large oak tree; the outside has been shaped into octagonal form, and is richly carved and painted to match the screen. [John Stabb Some Old Devon Churches (1908)].